BAGUIO CITY – The newly recommended City Director of the Baguio City Police Office (BCPO) vowed to sustain the implementation of proven and effective anti-criminality and peacekeeping initiatives that elevated the city to be adjudged one of the top ten Safest Cities in Southeast Asia. BCPO City Director Senior Superintendent Eliseo Tanding added that the local police force will also continue aligning its existing programs, projects and initiatives to the current thrust of President Rodrigo R. Duterte and the Philippine National Police (PNP) which is to put an end to the illegal drug menace and achieve lasting peace not only I the city but also in the whole country as well. He claimed that the BCPO’s existing peace and order programs, projects and initiatives seem to be aligned with the current thrust of the government that is why what is important is for the local police force to intensify the same to curb the proliferation of illegal drugs in the city and address whatever are the missing links in the peace and order campaign to help in sustaining the decent peace and order situation in one of the country’s premier tourist destinations. “We agree to the contention of city officials that we will sustain the implementation of proven and effective anti-criminality and peacekeeping initiatives so that their will be continuity in what had been started by our predecessors to avoid another period of adjustment once we try to drastically change the same,” Tanding stressed. 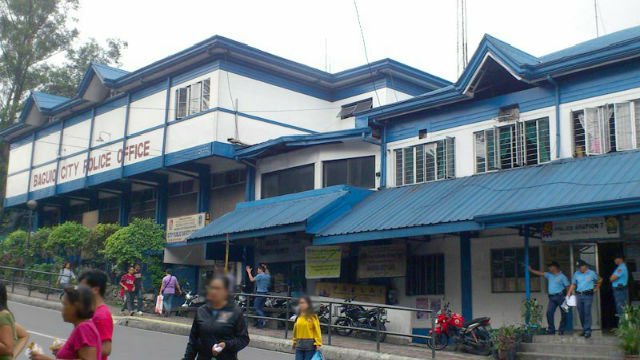 Tanding took over the helm of the BCPO as Acting City Director after the 2-year tour of duty of former City Director Senior Superintendent Ramil Saculles lapsed over two months ago prior to his being recommended for appointment by the local screening committee as the permanent City Director of Baguio’s finest. Prior to his designation as Acting BCPO City Director, he occupied various sensitive positions on the PNP general headquarters and as Provincial Director of the Nueva Ecija Provincial Police Office. He committed to implement programs that will boost the morale of the men and uniform to ensure that they will be able to effectively and efficiently perform their assigned duties and responsibilities and achieve the overall objective of realizing better peace and order situation in the whole city to continue enticing more foreign and domestic visitors to frequent the city and contribute to its sustained robust economic growth. Earlier, the local screening committee created by Mayor Mauricio G. Domogan conducted a screening on the 5 applicants for BCPO City Director who were included in the shortlist submitted by the PNP to the local chief executive from where he will supposedly select the chief of the local police force. Aside from requiring the applicants to submit their performance rating for two consecutive rating periods, their personal information sheet and other pertinent documents that will support their application, the local screening committee also conducted an interview to each of the applicants to ascertain how they will implement their programs that will sustain the improving peace and order situation in the city in the next two years.